Loreena’s autumn tour of Québec and Eastern Ontario has grown to 11 concerts with the addition of a second date at Montreal’s Théâtre Maisonneuve, Place des Arts on October 17. With tickets for her October 16 show selling quickly, a second Montréal concert on October 17 is ON SALE NOW. 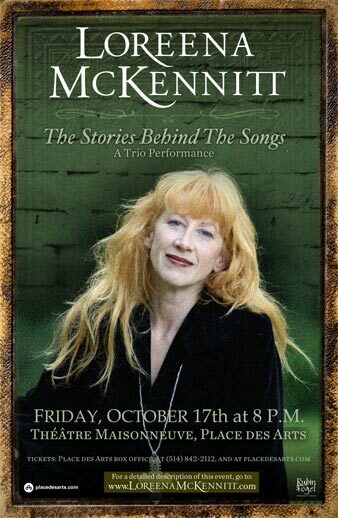 There is no advance pre-sale for Loreena McKennitt Community members for this show. To view the full list of dates for Loreena’s Canadian tour this October, visit the Performances page on Loreena’s official website.